Don’t Freak Out, Stage Mom! Last Saturday, I was a stage mom. 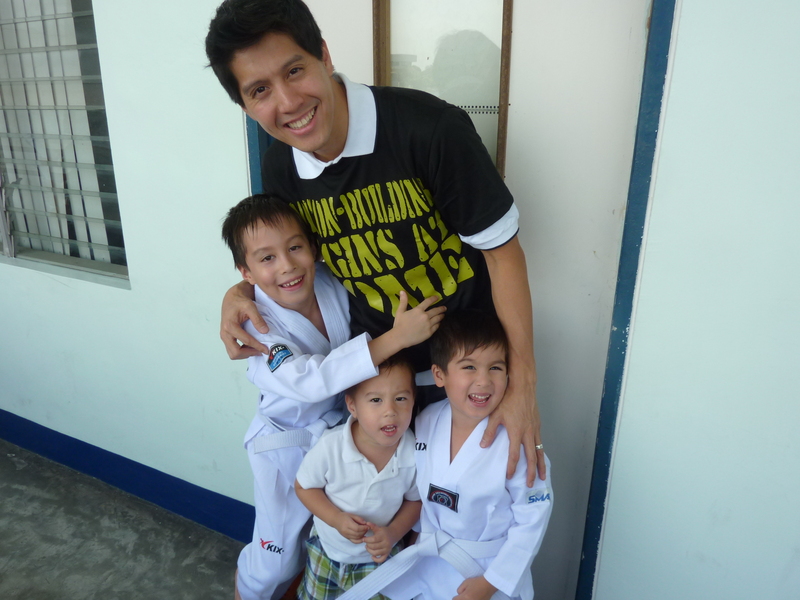 My two older sons, Elijah and Edan, had to take their Taekwondo promotional exam to move up to yellow belt. Edric was coming from a road show in Alabang so he asked me to take them earlier and he would catch up to us. I prayed with my boys and encouraged them, drilling them on their oral examination questions on the way to the event. Another homeschool family rode with us and I was glad for the company. We got there way ahead of the scheduled exam so the kids had time to warm up, review, practice, and play with their friends. Since I had not been in charge of their P.E. for the past two quarters (this is Edric’s department), I assumed that both of them were ready to perform for the examiner. Well, Elijah was but Edan wasn’t. I didn’t realize this until they had their practice with the coach before the exam and Edan sort of just gave up. He started looking down at his hands and did not go along with the group. I started to panic inside! 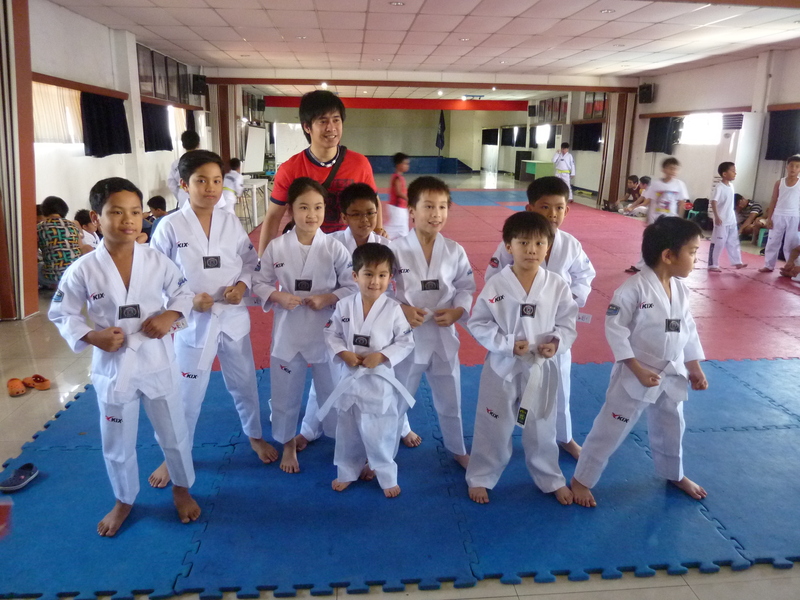 Edric wasn’t there yet and I didn’t know how to motivate Edan because he seemed to have forgotten his foundation forms (Taekwondo terms)! He knew parts of foundation form 1 and 2 but not all of it. Oh dear! I didn’t want to discourage or embarrass him by making a big deal out of it, but I began to think all sorts of things like, What if he doesn’t pass and Elijah does? How will he feel? What if the audience makes fun of him or the examiner scolds him? Why is he acting like that? Are people going to think I am a bad homeschool mommy? Where in the world is Edric and I hope he gets here soon! After their practice session, I took him aside and tried to ask him in the most calm manner I could muster, “What’s wrong, Edan? Are you okay?” A part of me wanted to say, “What’s wrong with you, boy?! Shape up and get your act together!! !” But of course, I didn’t say that! I guessed from his disposition and countenance that he was self-conscious. He was the youngest and smallest participant, and maybe he really hadn’t memorized everything as easily as the others had. So I just said, “okay just try your best.” I panic texted Edric instead! Edric kept on reassuring me that everything was going to be fine. He rushed over as quickly as he could get there and he caught the last part of their exam. I wanted to cry when Edan wasn’t following some of the instructions of the tester, but I kept it cool. What was happening inside of Edan was more important than his performance and I needed to remember that if he didn’t pass it wouldn’t be the end of the world. Praise God, they both passed! But when we got home, Edric talked to Edan privately and had a man-to-man with him. He found out that Edan had felt shy during the performance (as I had guessed). And he encouraged him by saying, “Remember you don’t need to be scared because Jesus is in your heart. And he will help you.” He also told him that he had to be disciplined with practicing. 1. Our children must believe that we love them for who they are and not for what what they do. 2. Mistakes and failures in the lives of our children can always be turned into opportunities for them to learn something important and to grow in character. 3. We must not compare our children with each other. One may excel easily in a certain task while another may not and this doesn’t mean they are less intelligent or less gifted, just wired differently, and we need to help them experience success by guiding them, training them, and holding them accountable. 4. We should never pressure our children to perform well for the sake of our reputation or pride! Instill in them the desire to do their best for God. Hi Joy! 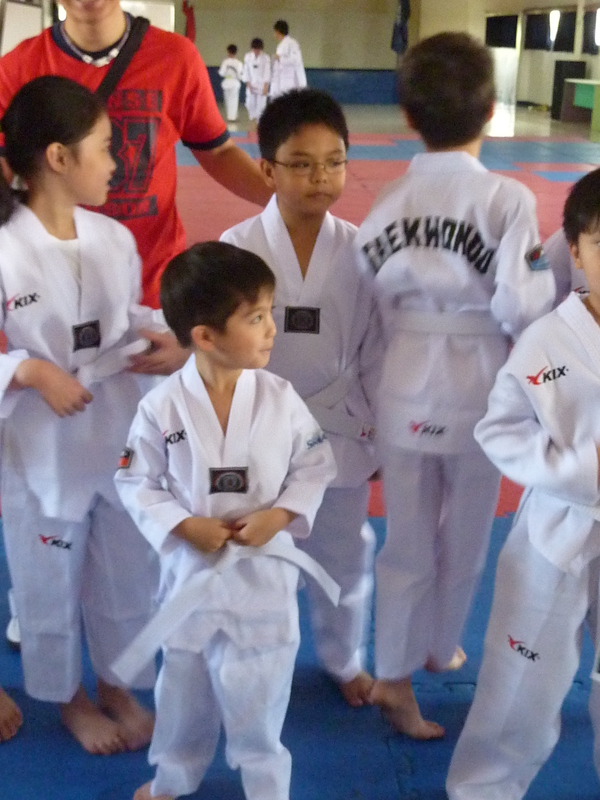 The one beside Edan, I think he’s your son because he kept on looking at the camera like he was the one being shot. Ha ha ha! !